Kevin and his two pre-teen sons find a scenic camping location with a waterfowl in a remote location. As they pitch their tent, have dinner over an open fire and settle in for the night, four drunken teens announce their presence. The location is a favorite drinking location for them. The teens, embolden by their drinking decide to evict the family. As the discussion becomes more threatening and the teens encroach on the campsite. Kevin pulls his pistol and points it suggesting that perhaps the teens may want to find another location. They decide to leave rather than risk a shot from an angry father. Once the invaders are safely out of sight, Kevin packs up his children and gear. They safely leave what could have been a very serious situation. This parent protected his family thanks to his right to concealed carry. Stories such as this spotlight the need for concealed carry for the outdoor recreationist as well as potential victims of crime in urban areas. However, before you carry your concealed weapon on your next outing there is some precautions needed. To begin with some states have laws prohibiting carrying while in the field. For instance a state might ban bowhunters from carrying a firearm in the field regardless of the reason. 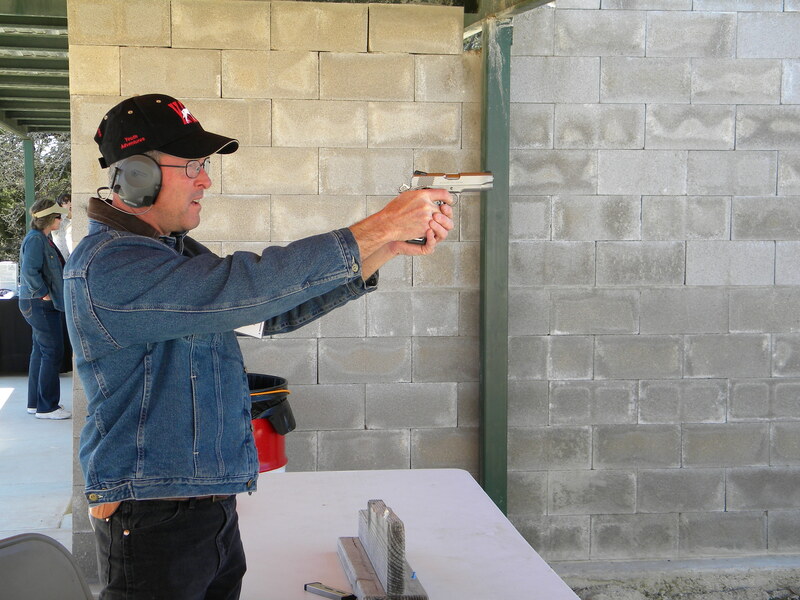 Some governmental agencies prohibit handguns at all times on their parks and refuges. Still other states do not recognize concealed carry permit from other states. This is reciprocity. If you are traveling from one state to another it is important to know the law in all the states through which you are traveling. Your permit might be valid in your home state and the destination state but you might be traveling through another state where it is not valid. How can you keep up with the ever changing laws that might affect your carrying protection while in the field? One of the best sources of current information regarding concealed carry is the website of United States Concealed Carry Association (www.USCCA.com). They also have an App there as well so that you can access the information on your phone while in the field. One of the easiest ways to get information on reciprocity is the State Reciprocity Map (www.usconcealedcarry.com/travel/). Another valuable website is the Safe Gun Travel site (www.safeguntravel.com/). When man first crossed over the Bering Strait and began to settle North America he brought with him the kayak. It was nothing more than animal skins stretched across a wooden frame. The fragility of this craft no doubt cost some lives. But it was portable and could portage ice pressure ridges. The kayak is no longer a means of transporting people across arctic waters or down raging rivers. 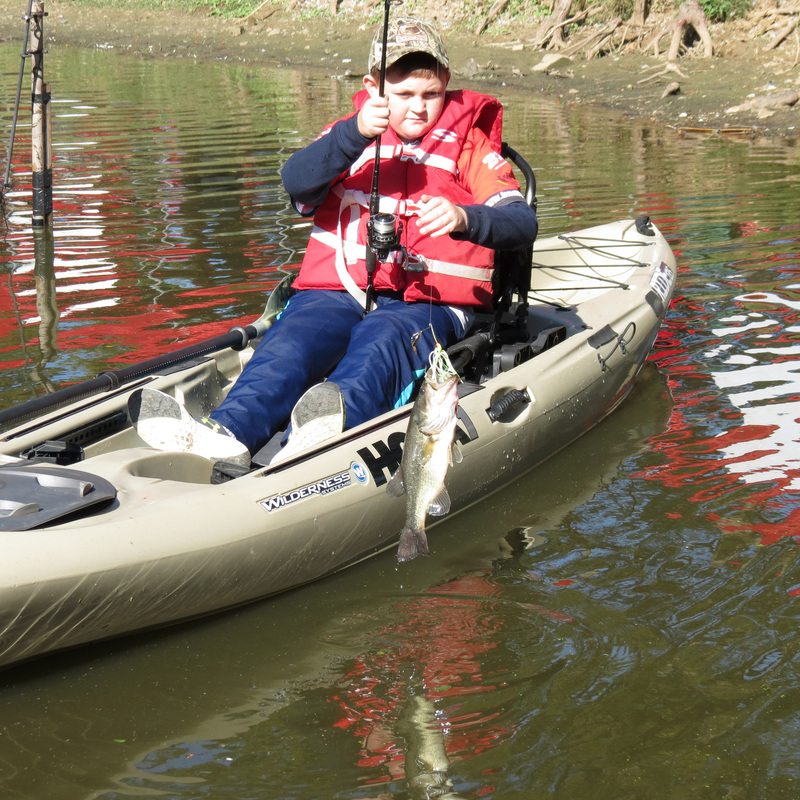 Anglers are turning to the kayak as a lean mean fishing machine. The modern kayak is for all waters and particularly for the angler in search of quality fishing time. They come in a variety of lengths and widths and made of a variety of plastics, nylon and fiberglass. Some are best for running fast river currents while others will stand the rigors of ocean travel. The seating also can vary from one placed on the bottom of the hull to those with a mesh armchair like apparatus. Kayaks will never replace the bass boat for travel and stability. But there are places where the fishing kayak reigns supreme. This might come in backwater coves, bayous or a farm pond. In other words they are great for “skinny water.” Kayaks come in a variety of models with relatively low price tags that make them an affordable option for the crappie angler. 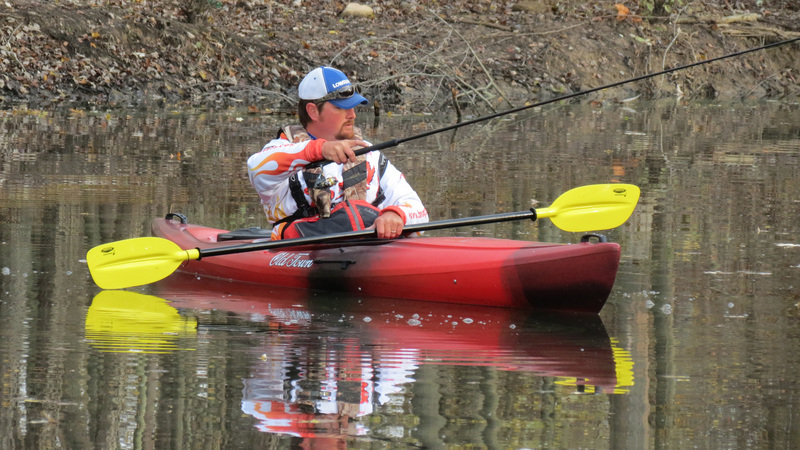 Tournament anglers are turning to kayak divisions in such events. They compete in their own divisions. Modern kayakers have adapted many of the features of power boat angers to their crafts. There are mini-power pole units just like the normal size ones. Water tight storage areas, live wells and pole racks can aid in the storage of tackle and rain gear. Today’s kayak constructed of manmade materials is much safer. Some are even available in inflatable models. Their crafts are more stable thanks to wider beams and built in floatation systems. Topside water-tight compartments permit the stowing of gear and rod holders. Additional gear can be attached using bungee cords. For the angler there are kayaks with live wells and numerous racks for additional rods. It is usually heavier than its predecessor and some even have carts that allow one to wheel the craft right up to the shoreline. The inflatable kayak provides a “luggable” aspect to construction. Usually constructed of PVC-vinyl they have a reinforced underside. They are ideal for quick trips after work. Once the fishing trip is over, the inflatable can fold into an easy loading rolling travel bag with a high capacity hand pump or an optional powered one. The addition of comfortable low profile chairs with mesh seating allow anglers to sit comfortably while fishing skinny water and gliding over brush, weeds, snags, laydowns and rocks. The ones have decks wide enough to allow for the fly anglers to stand up to cast while maintain stability. Kayaks allow one to have access to bodies of water that hold fish, but do not have boat ramps such as a farm pond or a small creek. It also allows one to access waters beyond small openings in the reeds or that would otherwise require portaging over shallow riffles. Skinny water is often over-looked by those who do not want to get weeds and junk in the props of their motorized craft. In addition to the ease in preparation for a day on the water, they are relatively maintenance free and there is no fuel needed. They are easy to transport in the bed of a pick-up. Anglers find that they end up going fishing more often even if it’s only for a couple of hours after work. The lack of mechanical power limits the speed and range of the craft. If fish are not biting in one spot it may mean reloading the kayak and driving to the next honey hole. Another limitation is they do not allow one to carry as much gear as would be the case with a larger craft. Stability may become an issue. You will never find one as stable as a bass boat. Despite the practicality of the modern kayak, one still needs to consider safety precautions on the water. The PFD (life preserver) is mandatory on some waters but essential for all water. It is important to go out with at least one other person for safety’s sake. Kayakers need a certain level of physical conditioning and ability to swim with confidence. It is also advisable to have clothing that dries quickly. A dry bag can be stored on board either in below deck compartments or on deck with the use of bungee cords. The dry bag also doubles as a storage compartment for valuable electronics. Regardless of its limitations, the kayak is a lean mean fishing machine. What one thing in shooting style or method, what one phase of the shooting form, is the most important? This is most often asked by a competitive shooter, but it applies to anyone shooting an arrow anywhere at anything. I believe that what happens to the ‘bow arm unit’ in that precise span of time between the instant of the brain command and the time the arrow clears the bowstring is the key to a successful shot. This is the last ingredient added to the recipe for good scores and hunting shots that hit the little spot you picked as your aiming point. Whatever happens at the exact instant that our brain gives the message to string fingers to relax their hold on the string, or the string hand to trip the release, is the thing that makes everything else we have put together for that shot produce either the results we are expecting or the result we did not want. The tragic thing about this often unrecognized fact is that a coach cannot really see it happen, and a student/shooter does not exactly feel it or, for that matter, even believe it. Buddy, it’s there, big as life, and it can be proven. Any reference to a measure of time or speed that may be used in this article is for comparison only. It takes the brain 70 milliseconds to give any part of our body a command. Therefore, the brain has time to give us more than 14 commands in one second. It probably does, too, since we can stand without falling, breathe, walk, talk, smile, close our eyes and unlock the car door at the same time. A shooter can use this knowledge to his/her advantage. In shooting, the little, almost unnoticeable cause of an almost-but-not-quite-perfect shot could be that at the exact moment the brain commands the release of the string, a small movement (even the tightening of an arm or shoulder muscle from unnecessary tension) in his bow arm unit, for any reason whatsoever, louses up his shot. If any part of this bow arm unit moves only one thirty-second of an inch, before the impact of the release-and-shot ‘explosion’ hits the shooter, it can put the arrow somewhere other than dead center. This error of movement is also magnified because the unit continues moving all through the explosion, like a shotgun moves when shooting a bird in flight. It is a small amount and it will vary for many reasons depending on what caused it. But bow arm movement wrecks things. When the brain gives the command for the fingers to relax, every part of the body knows that command has been given and that this is the beginning of the end of the effort. This is the most important moment. As an example, at the instant the command is given, the shoulder could slightly quit holding its position because it anticipates that the shot will soon be over. The elbow could anticipate the finish and not stay rigid. The wrist could do the same thing. The bow arm must hold the physical weight of the bow after the explosion so it can begin to get ready at the instant of command, without waiting for the weight to manifest itself. The entire arm unit could decide that the show is over at the moment the command is given to the fingers to release, and begin to relax because its work is soon over. The concentration of aiming could also start to give up and quit working too soon. And on and on. What other single thing in the whole scheme of shooting technique is so dependent upon so many other things to make it work? I can think of nothing that has so many operations dictating the success or failure of the shot as does the one-thousandth of a second of time between the brain command and the bowstring being released. This is the most important instant of all. This is the time in which you must exercise the control necessary to hold still – to keep your bow arm unit still — until the shock of explosion hits. I agree, 100 percent control is all you need. That would solve everything. However, unless you know what the problem is and understand its importance, you don’t generally control down to the fine points that we are talking about here. Keeping the bow arm unit still is part of follow-through. Follow-through is the continuation of your form as it was before the explosion. Think this through thoroughly and shoot better. This article is from How-To Chapter 3 – Building The Best Form — from UNDERSTANDING WINNING ARCHERY. a 114-page paperback book by Olympic Archery Coach Al Henderson. Al Henderson was coach of the 1976 U.S. Olympic archery team that won gold medals in men’s and women’s competition. More than 200 of his students won state, regional or national championships. Many were members of college All-American archery teams; others were members of the U.S. Olympic archery team and World Championship team. He was inducted into the U.S. Archery Hall of Fame in 1982.